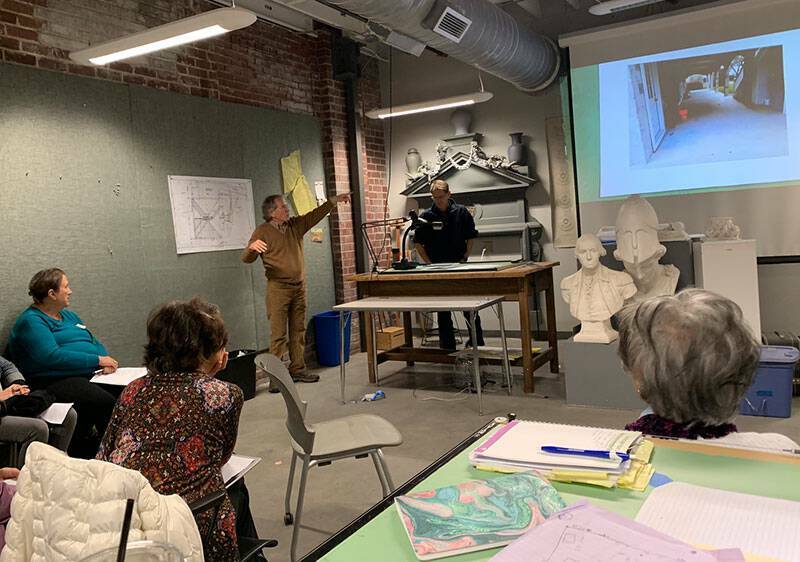 The American College of Building Arts, Charleston Winter 2019 : The Results are IN! 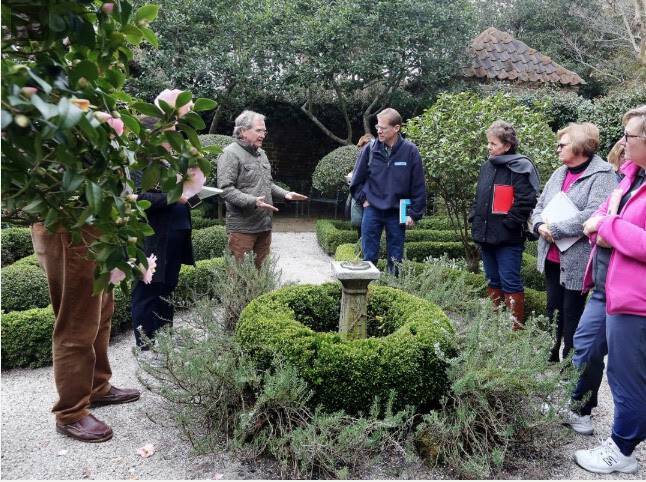 As you know from our lectures, your garden can support your lifestyle, but, that can get complicated!! We covered sooo much in the 2019 – 4 day INTENSIVE. course. 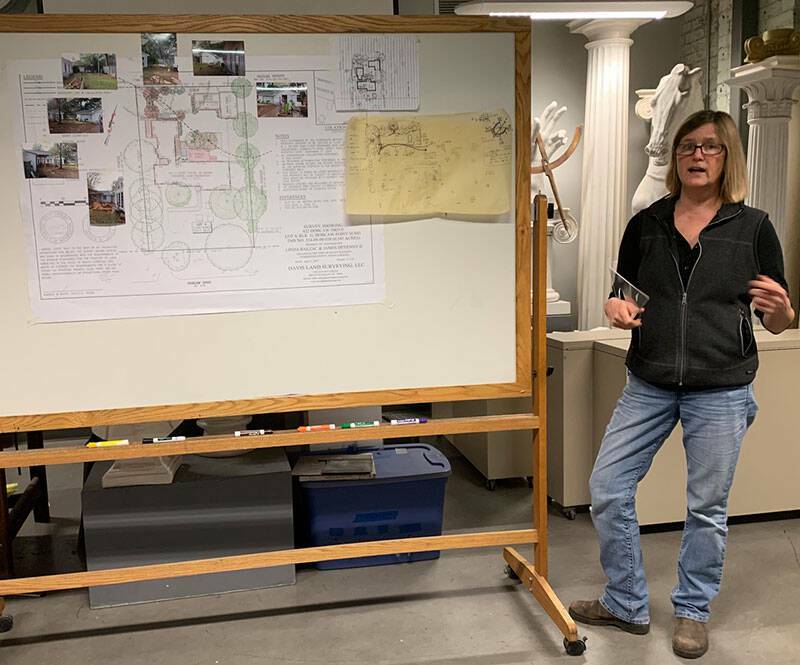 1) To the 8 stalwart souls who attended the full 4 days of design studio, you each deserve a Garden Design Oscar for creating a scalable base sheet and the future design for the garden of your dreams! 2) 22 Master Gardener scholarships were offered for one day of classes. Its a lot to absorb in such a short time! Our course was covered by The Charleston Post & Courier by reporter, Jerrel Floyd, in a well-written article. I’ve heard from friends & colleagues around the country about how interesting the course sounded! I’m so glad it inspired others. He did a great job of interviewing participants. ” Susan Betz, working on a home project, said she came all the way from Michigan to be a part of the course. She is a follower of Dargan’s blogs and books. She said the course was worth flying to Charleston. She said it’s important for people to have a place that helps them feel less stressed – and a wellness garden is a natural place for that to be done. “I think gardening and being outside is a part of wellness,” she said. For Elsie Owens of Columbia, SC, though her personal garden is complete, she wanted to create something for her newlywed stepson. She said, in her experience, gardening has always been a source of peace for her, so a course on creating a wellness garden made sense. To read the article, here is the link! 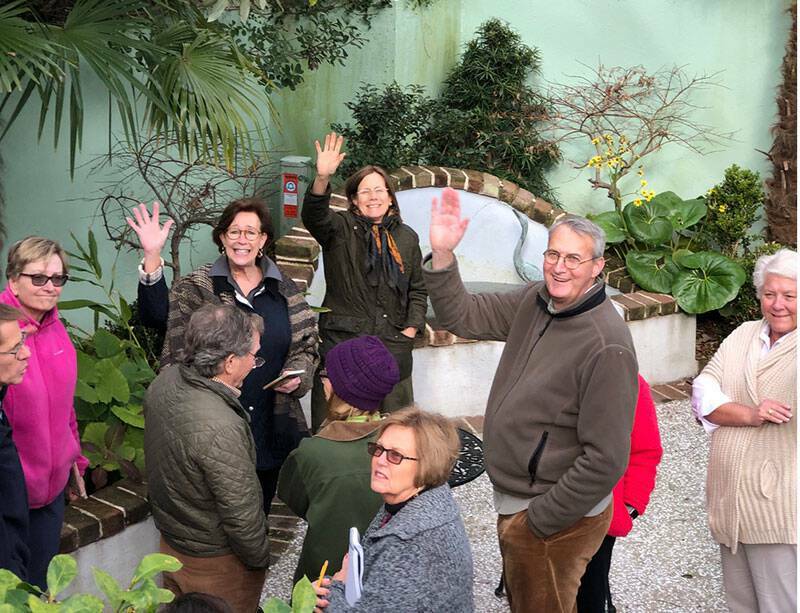 We had a great time with Marty Whaley Cornwell in her fabulous garden originally designed by her late mother, author & gardener, Mrs.Emily Whaley. Marty & Hugh Dargan served together on the board of Columbia Green way back in 1984. Old friends! above: Garden design student, Elsie Owens & Dr Gene Johnson share a moment of joy. Dr. Gene Johnson, garden designer & incomparable host, graciously shared the design evolution of his magnificent property. It is well grown-in and impeccably maintained by Gene. 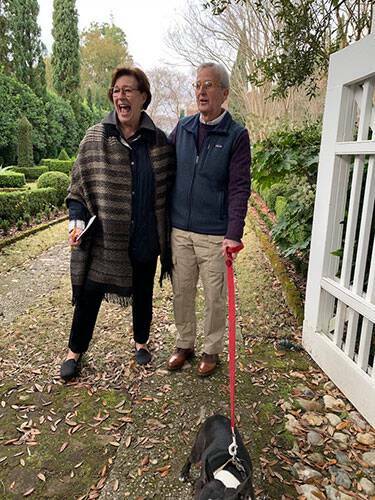 A very dear friend, Gene’s garden appears in Lifelong Landscape Design in a candid interview about the genesis of his and Betsy’s garden and the stewardship of their historic home. 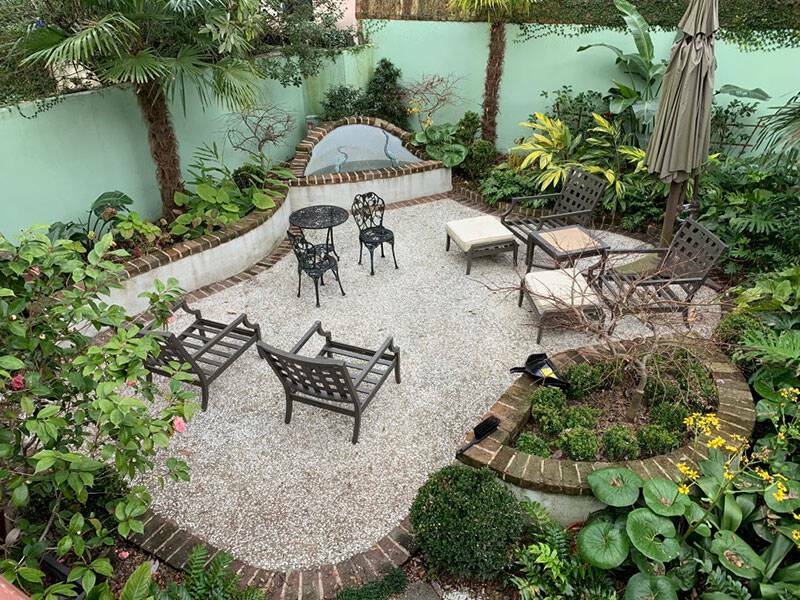 Our grand finale began with Elizabeth Bradham’s incredible Loutrell Briggs designed garden at 64 South Battery. Elizabeth personally maintains & manages her garden. She was beginning tulip installation & seasonal grapefruit pruning. 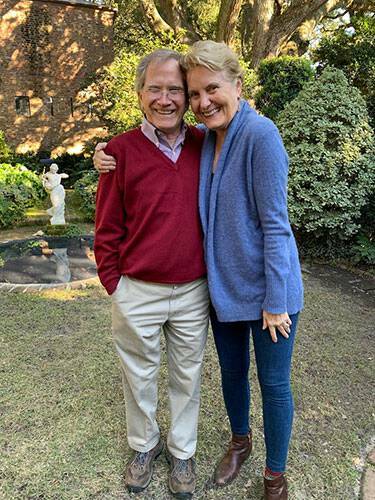 I’m in awe of her stewardship, design sense and, may the force continue to be with her…that is a lovely, large garden! 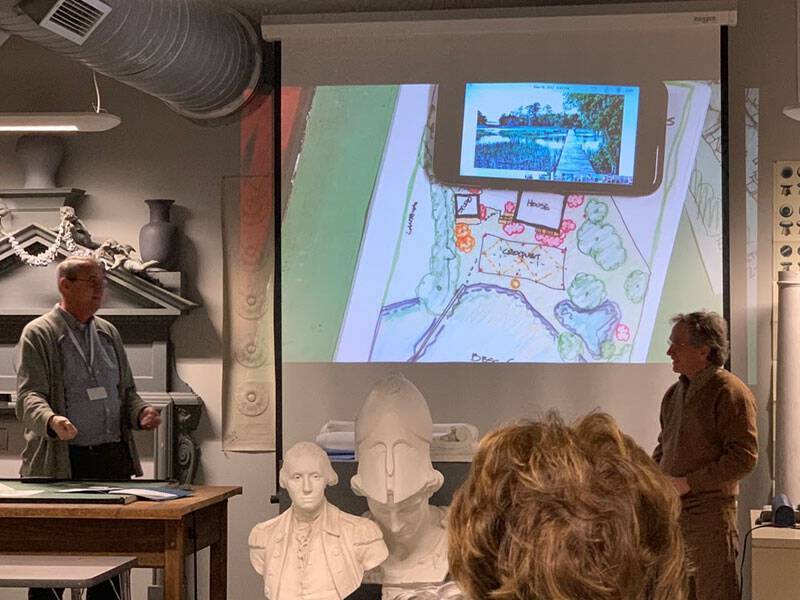 American College of Building Arts, Dr. A. Bert Pruitt, emeritus board member, shared his gracious garden at our last field study class with a fun guided tour & wine party. Bert also graciously housed the Dargans for 5 nights, for which we are deeply appreciative! Thank you, Bert! Highlights from the design studio! I applaud the 8 brave & nimble students who for 4 days, designed their environments. 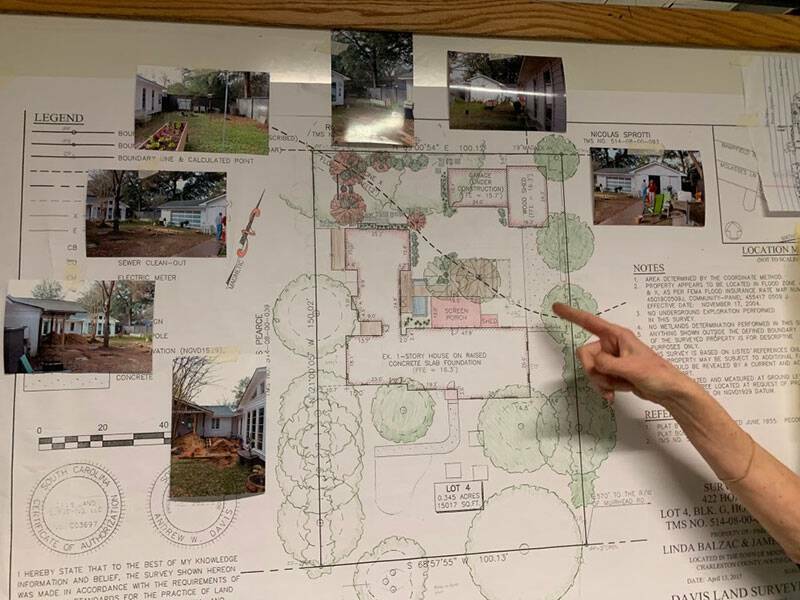 Our Dargan Master Gardener scholarship student, Kathy Stone of Charleston, designed an entire public park. Above: An excellent presentation by architect, Linda Balzec, of Charleston for her personal wellness garden. * Thank you to The American College of BuIlding Arts for the opportunity to work together in your marvelous facility! Stay tuned for announcements of 2020 in Charleston . For information: please let us know and we will put you on the mailing list.